The variegated version of our ever so popular Polyscias fruticosa 'California'. The perfect choice when trying to recreate the look and feel of a tropical rainforest tree in miniature! Each leaf is finely divided into a frothy mass and held out from a trunk-like stem. 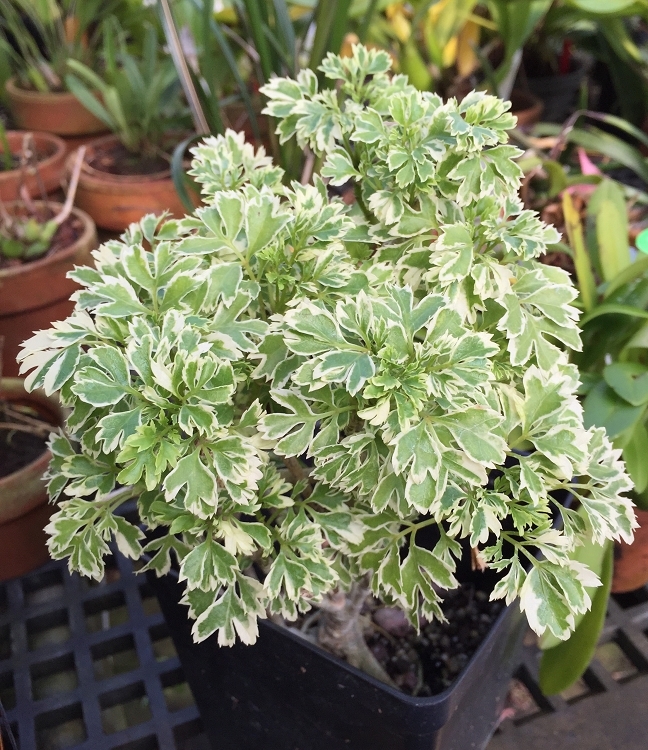 Easy to keep pruned back to any size, it quickly grows into a small tree form and is ideal for providing a vertical accent in any terrarium. Available plants are growing in 3" deep pots.